PDF is an open standard document format that is easily accessible by many users across different devices. It was created by Adobe so that files can be consistent on all platforms. You can easily convert PDF to Word on Windows or Mac, but it is little difficult for those who use Ubuntu to convert PDF to Word. If you need to convert PDF to Word on Ubuntu to copy PDF content for future use or modify PDF text, you will need an Ubuntu PDF to Word converter. Below are the three best solutions for you. For a converter tool that works across both Windows and Mac, PDFelement Pro could be a great choice. 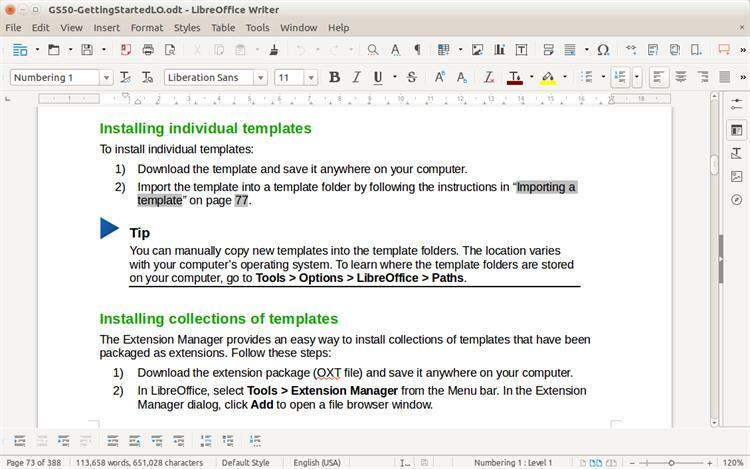 LibreOffice provides a clean interface and feature-rich tools which helps to enhance your productivity. With the new version of this PDF converter, you can enjoy functions of Calibre for image handling. Plus, most open source office suits are available: Writer (word processing), Calc (spreadsheets), Impress (presentations), Draw (vector graphics and flowcharts), Base (databases), and Math (formula editing). You can edit letters, faxes, agendas and minutes, and perform more complex tasks quickly such as mail merges, etc. Provides editing tools to create attractive 2D and 3D images from text. It lets you add formulas, including fractions, integrals, and mathematical functions, among others. Okular is a free, open-source PDF to Word converter for Ubuntu. This software enables you to read PDF files, Postscript, DjVu, CHM, and more. 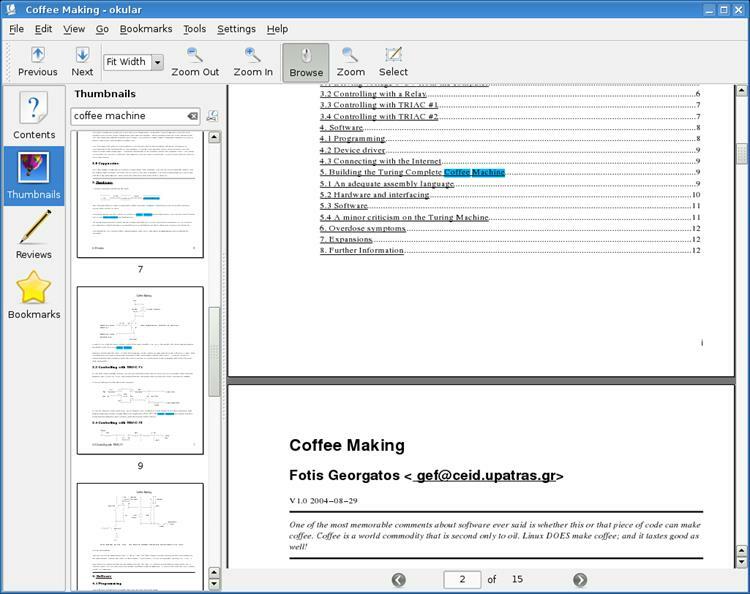 Okular is a universal document viewer developed by KDE. It works on multiple platforms, including but not limited to Linux, Windows, Mac OS X, *BSD, and more. Recently, the 1.6 version of Okular was released together with KDE Applications 18.12 release. You can now enjoy the new version for free. Supports PDF, Postscript, DjVu, CHM, XPS, ePub and others formats. You can add comments, highlights, drawing tools, geometric shapes, textboxes, and stamps to your PDF files. PDF Studio is an all-in-one, easy-to-use PDF editor which provides all the necessary PDF functions. With this Ubuntu PDF software, you can perform OCR on PDFs, create PDFs, Batch Process Multiple PDFs and more. It is a very popular alternative to Adobe Acrobat, because it's an affordable and full-featured software. Supports all platform: Windows, Mac, and Linux. You can move, resize, and save images. Import and export form data in FDF / XFDF / XDP formats. PDFelement ProPDFelement Pro is a great alternative Ubuntu PDF to Word Converter for Windows and Mac. It's the safest PDF to Word converter that comes with unique features which are helpful in the creation, editing, and conversion of PDF files. Plus you can match the look and layout of the original content. It gives you full control of your PDF files by using a variety of editing options that allows you to change backgrounds, delete, rotate, crop, split, combine, or insert pages, and add watermarks, extract data, and explore your PDF document completely. Download PDF to Word converter on your desktop and launch it by double-clicking the icon which is located on your desktop background. 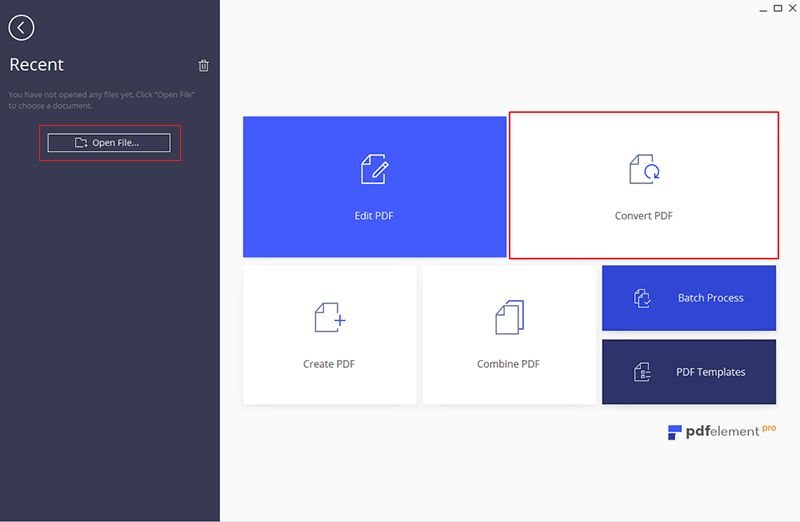 Click the "Convert PDF" button or "Open File" button to open the PDF file you want to convert; you can add as many PDF files as you wish, since the software supports multiple conversions. Word is the software's default output format. If you would like to convert PDF documents to any other format, you can change the default setting according to your preference. 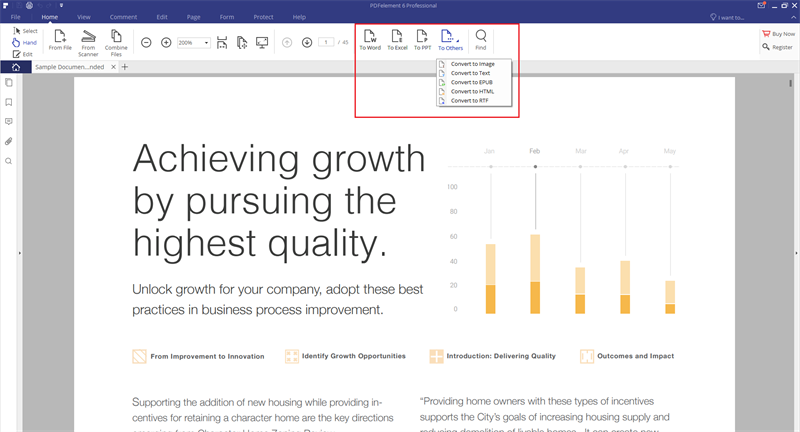 You can also choose your output folder to easily locate the Word document after conversion. You will have the opportunity to choose to convert some or all of the pages of your PDF documents. Choose "To Word" on the tool bar, and select a folder to save your converted PDF to Word file to so you can start the conversion process. 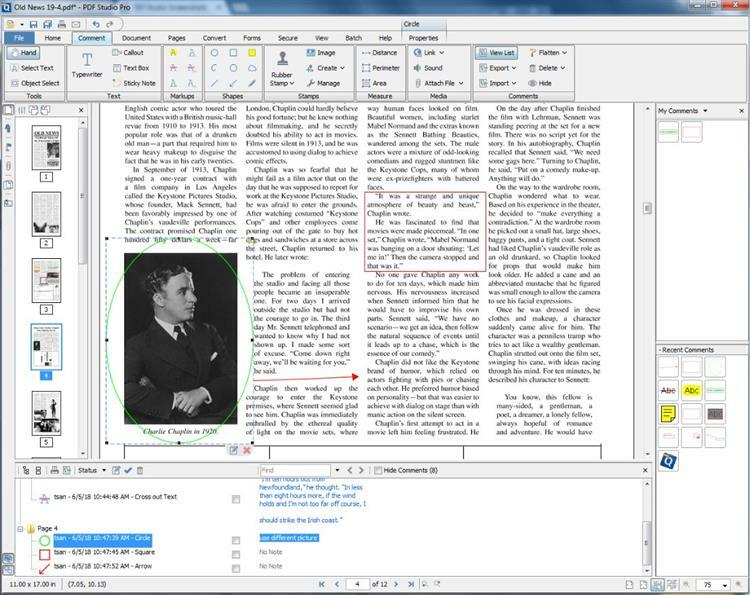 The converted file will be readable and editable in text editing applications such as Microsoft Word. PDFelement ProPDFelement Pro is the ultimate multipurpose solution for basic as well as advanced file management needs at your office. With this program, you can enjoy creating, editing, or converting PDF documents effortleslly. Plus, it's easy to use, even for beginners. Once you start using this alternative to Ubuntu PDF Converter, you will realize that it is indeed a great investment for you or your company. Cute PDF to Word Converter Not Working? Fixed!